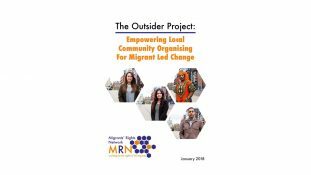 During 2017 the Migrants’ Rights Network coordinated the Outsider Project in four locations across England, in response to the steadily worsening perception of, and increased hostility towards, migrants living in the UK. The design of the Outsider Project aimed to ensure that both its approach and delivery was migrant led. The project’s approach was adopted from participatory action research methodology, and developed through stages of training local leaders, research and evidence analysis. 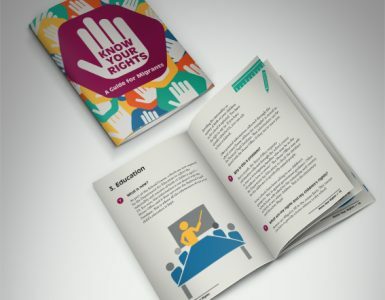 Based upon this, local Migrant Leaders in each location received training and support to ensure that they had the skills and connections to develop and lead the project’s advocacy initiatives, and with the support of the Migrants’ Rights Network – engage and support local migrant communities to organise around and act on key issues they identified as affecting them. 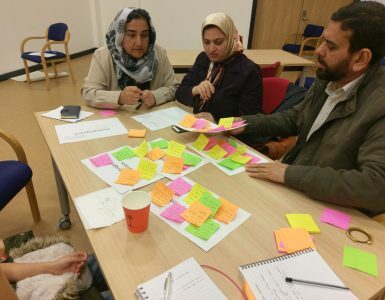 In this report we outline the project’s successes, challenges, learnings and recommendations for organisations, groups and individuals who are interested in designing and delivering projects that ensure a migrant-led approach, with the aim of promoting these positive practices and encouraging their adoption in forthcoming project design.